After a two-year break from signing, personalizing, and direct-selling paperbacks from my living room, I am at it once again! To receive a signed, personalized paperback, you must order through the link provided, below. 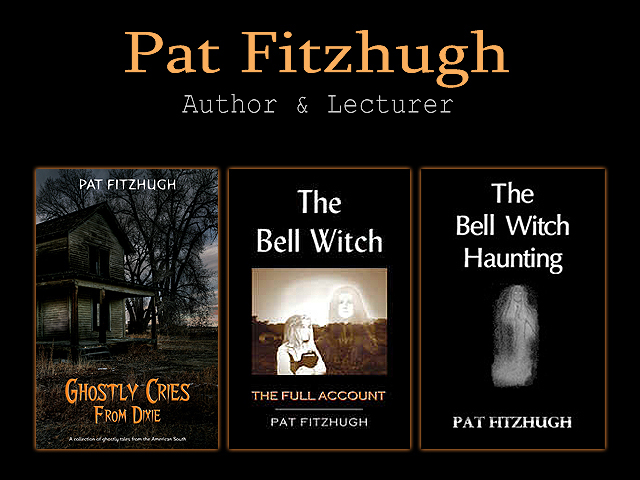 The titles I am signing are Ghostly Cries From Dixie, The Bell Witch – The Full Account, and The Legend of Stuckey’s Bridge. I will not be signing The Legend of Stuckey’s Bridge until late August, when author Lori Crane and I will be able to sign it (she wrote the book, I wrote the foreword). Once you’ve read the book descriptions and made it to the PayPal ordering page, make sure to check out the “combo” discount for buying “Bell Witch” and “Ghostly Cries” together; it will save you a few bucks. Enjoy your signed, personalized book! Click here to order your signed paperback(s)! ← Stuckey’s Bridge is Released! Thanks for commenting! Southern Fiction is in a category all by itself, and it’s a shame that Amazon and others don’t see it that way. My books, at least my current titles, don’t exactly fall into the category, although some of my much, much older titles–as well as two upcoming titles–most certainly would. With my current titles, ghosts are the main characters, and retelling and unraveling the stories is the plot. Of my current titles, my favorite and the one I am most proud of, is “Ghostly Cries From Dixie,” the Kindle edition. It is a collection of weird and ghostly tales from the South, with an emphasis on the historical events surrounding the alleged haunts. While similar books devote maybe 1-2 pages to each story, “Ghostly Cries From Dixie” devotes 4-6 pages to each story, on average. If you love the South, and are a fan of ghosts and haunted locations throughout Dixie, this book is for you. I will be more than happy to download “Red Clay and Roses” and share my thoughts about it! Also, I will be glad to share it on my different sites. Thanks again for commenting! I will e-mail you for a coupon shortly. I love good Southern Fiction. I wish it were still a catagory that Amazon and others offered so I could more easily find the work. I am thinking of starting a web site just for Southern Fiction to make it easier to find in one place. Tell me which of Your works are best liked by yourself as an author and I will buy a copy for reading and review. I have my book, Red Clay and Roses, on a promo right now and if you email me at redclayandroses1@gmail.com you can get the promo coupon code from me for smashwords and download whichever version you like for free. No contest, no deadlines for reviews or anything like that, just get it while it’s free. I am doing this to promote my book and the paperback version coming out soon.